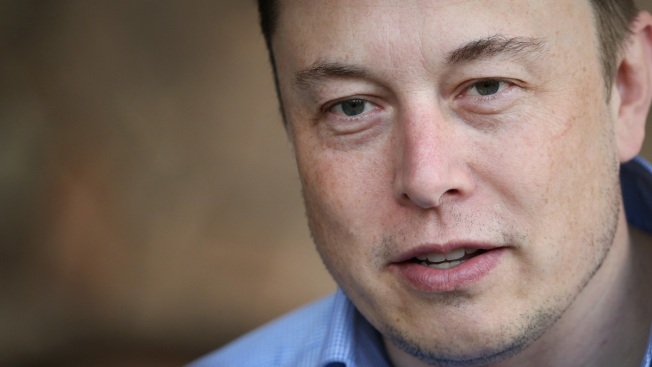 File photo: Elon Musk, CEO and CTO of SpaceX, CEO and product architect of Tesla Motors. Another day, another tweet from Elon Musk has the Internet in a tizzy. The chief executive officer of Tesla Motors and SpaceX revealed on social media on Friday that he’s "excited to announce the launch" of a new website called x.com. “It’s a little verbose right now, but that will be fixed tomorrow,” he continued. Musk’s tweet picked up 5,740 retweets and 26,235 likes. More than 2,000 comments poured in, some of which he replied to. Federico Cingolani pointed out that Musk could offer users a more “streamlined experience” by paring down the HTML that initially popped up on the screen. “May I change my bio to 'http://x.com UX Advisor?'" Cingolani asked. “It is true, so fine by me” was Musk’s response. Another Twitter user, Stan Schroeder, asked Musk if wrote the “very clean code” himself. Musk said he did. Amused by the back and forth, AJ Joshi wondered if x.com could "possibly be the most valuable domain in the world?" Musk stayed mum on that. A visit to the site now reveals a blank white screen with a lower case “x” in the upper left hand side corner. One Twitter user deemed the latest design “impressive,” while another inquired about Musk’s apparent love for the alphabet X as demonstrated by the Tesla Model X, Space X and now x.com. Still another said the X is symbolic. “X Marks the Spot”: he is reserving the site until he reveals his true plans for x.com,” Evelyn Janeidy wrote. “It’s what you don’t say,” Musk tweeted coyly. Musk and the domain name share history, though. He started x.com in 1999 as the co-founder of PayPal, but lost the domain when the company went public and he departed, according to Gizmodo. A few days ago, Musk reacquired x.com from PayPal for an undisclosed amount. Rumors abound, with some speculating that he shelled out an eight-figure sum. No word on Musk about that.